Yesterday(February 10th) in Berlin, Germany, Diane Kruger attended the photocall & premiere for 'The Operative' during the 69th Berlinale International Film Festival. 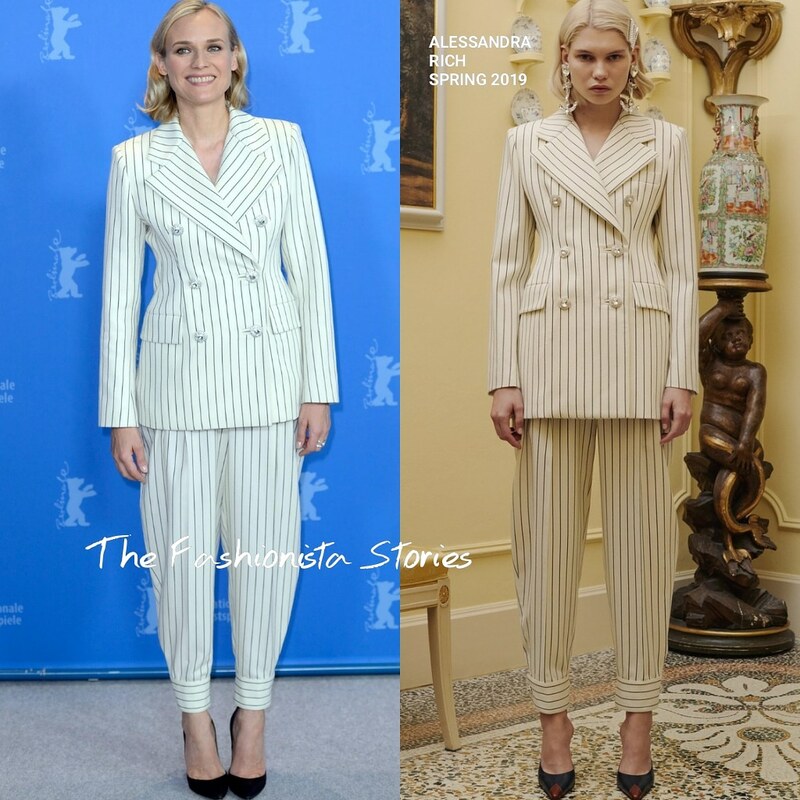 For the photocall which was held at the Grand Hyatt, she rocked a ALESSANDRA RICH SPRING 2019 stripe suit. Diane's version of the power suit has a sporty vibe to it, thanks to the jogger inspired trousers. The styling was kept simple and she topped off her look with simple black pumps and a MARLI ring. For the premiere at the Berlinale Palace, she slipped into a GIVENCHY SPRING 2019 COUTURE dress, which was layered with shorts underneath for coverage. This structured skirt is quickly becoming popular on the carpet but it's not for everyone. I see the dress more on someone like Lily Collins but Diane manages to pull it off perfectly.